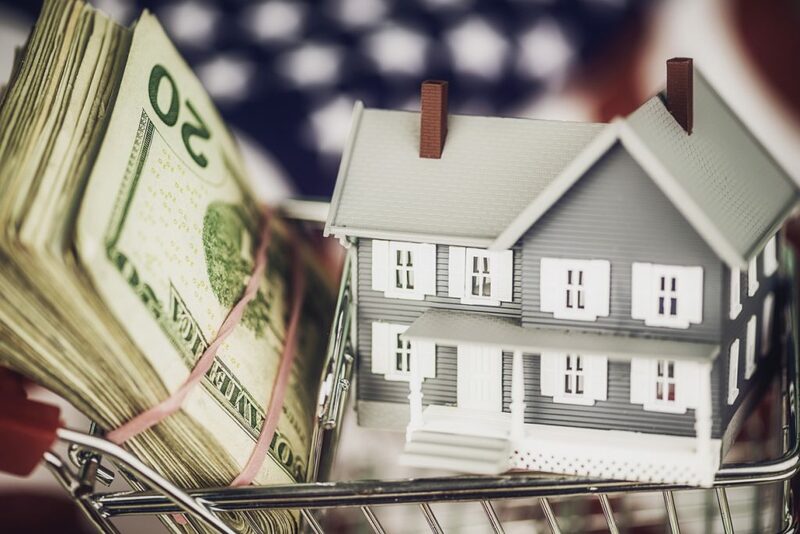 In higher cost zones of the nation, the 2019 FHA loan limit will rise to $726,000, which is an increase from $679,650 last year. FHA also will boost the low end to $314,827, which is an increase from last year’s $294,500. The new FHA loan limits apply to FHA loans that are created after Jan. 1, 2019. FHA is mandated by the National Housing Act to establish single family loan limits at 115% of median house prices for an area. There is a floor and ceiling on these limits. FHA determines top and low mortgage limits according to MSA data and by county. Any part of the country where the limit of the loan goes over the floor is deemed a high cost area. HERA will require FHA to establish the top loan limit ceiling for top cost areas at 150% of the conforming limit nationally. The 2019 minimum national loan limit or floor for now is $314,800 and has been set at 65% of the national conforming FHA loan limit of $484,000. The floor is applicable to areas where 115% of the median home price is below the floor limit. Any area of the country where the FHA loan limit is higher than this floor is deemed a higher cost area. FHA is required to set the maximum loan limit ceiling for such high cost areas at 150% of the national conforming limit. Every year, FHA has been increasing the number of counties that see a boost in FHA loan limits. Three years ago, FHA boosted loan limits for only 200 counties; in 2017, this number increased to an impressive 3000 counties, and them 3011 counties for 2018. For this year, 2019 FHA loan limits will be booted in 3053 counties. As you are considering this type of mortgage loan, and the maximum and minimum loan amount for your area, you should require the requirements of these government-backed loans. These loans are well placed and suitable for those who have a lower credit score and less money down. A typical issue is for the borrower to have a lower credit profile because of past credit problems. Also, many first-time buyers do not have a large down payment in the bank. The great thing about the FHA mortgages – you can score a loan in many cases with a 580-credit score and a 3.5% down payment – if you can prove you have the income to pay the loan. If you have very low credit in the range of 500, do not despair: You still may be able to get a home loan through FHA. You just will need to pay a 10% down payment. And, in most FHA loan situations, you can get whatever down payment you need as a gift. What you DO need to show FHA and the lender is that you have recovered financially from past credit issues. This means there should be a record of paying bills on time for the last one or two years. Having bad credit from a foreclosure or bankruptcy can be ok, but you should show that you have recovered financial stability. FHA loans are attractive in high cost areas for people with lower incomes and credit scores. You may be able to get a loan through FHA with a low-down payment in parts of the country where the median home prices is above $400,000 or more, such as many parts of California. Closing costs for FHA loans are reasonable, from 2% to 5% of the purchase price, depending upon the lender. You should consider reviewing loan offers from several lenders before you make a firm commitment about which to use. Regarding mortgage insurance, expect to pay .85% of the loan amount for a 30 year fixed rate loan if you put down less than 5%. Meanwhile, if you put down at least 10%, the rate is .80%. As the lending loan limits have gone up yet again in 2019, we think the FHA loan program is a tempting option for many people across the US with lower credit scores and down payments. Are you thinking about buying a home in 2019, but think you do not qualify? Many Americans want to buy a home but think they are not able to, due to credit and financial problems. The FHA loan program has been designed just for you, and you may be more likely to qualify than you think. Here are some secrets to know about FHA loans, which are backed by the federal government. You would think that having a credit rating in the toilet means a high interest rate. Wrong. FHA loans are government backed, so the lender will be reimbursed if you do not pay the loan. 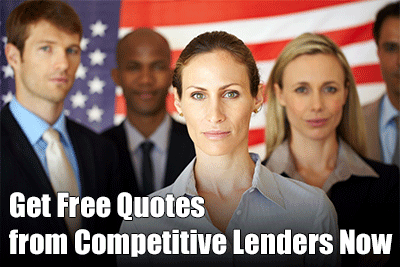 So, the lender can offer you a rate that is even below market rates – even with relatively poor credit! Your rate could be .25% to .50% lower than a conventional loan. You can have a credit rating as low as 500 and technically still get an FHA loan. If your credit is that loan, you will need to check with several lenders, though. Each has its own credit standards, and you will probably need to provide ample documentation about your credit and financial situation to be approved. For people who have a 580-credit score, you will have an easier time with approval, and those with 640 or higher scores will have little trouble being approved. The idea that you need 20% down to buy a home is a myth that has hung around for decades. Sure, the more you put down the better: You have a lower payment and loan balance, and you will not have to pay private mortgage insurance. But FHA loans allow a down payment as low as 3.5% if you have a 580-credit score. Plus, if you have a relative willing to help you out, you can get that down payment as a gift. So you could get into a home with little money down at all. FHA allows you to get up to 3% of the purchase price in help with closing costs from the seller. In a buyer’s market, this could be very helpful to save you money. Your total debt to income ratio, which includes your mortgage, new credit cards, student loans and other debt obligations, must be 50% or less. This is actually very reasonable and most people can qualify. FHA will not let you buy any home. In 2017, the limit for most single-family homes in th US was $275,665, and in higher cost areas, the limit was $636,100. While FHA loans are quite easy to qualify for, you must show that you can afford the loan. This includes providing your pay stubs, W-2s and tax returns. If you are self employed, you will need to show bank statements and tax returns, as well as a profit and loss statement for the year to date. A low interest FHA loan comes at a cost. You have to pay for mortgage insurance. And it is not cheap. For loans issued after June 2013, you need to pay it for the life of the loan too. In conventional mortgages, you can drop mortgage insurance when you reach 20% equity. If you want to get rid of mortgage insurance with an FHA loan, you will need to eventually refinance into a conventional loan. This is a big benefit if you are in a buyer’s market. Say you bought your home with an FHA loan in 2015 when rates were 3.4%. But now in 2019 rates are 4.95%. An interested seller can assume your FHA loan, if they qualify by credit and finances. This could represent a huge savings in interest for them. It could really work out well if they are putting down less than 20% and need to pay mortgage insurance on top of the higher interest rate. The FHA loan program is not for everyone, but it is a strong option for many first-time buyers with limited income, credit and down payment.